Even on a grey, rainy day, I love the view out of the kitchen window in our new flat. 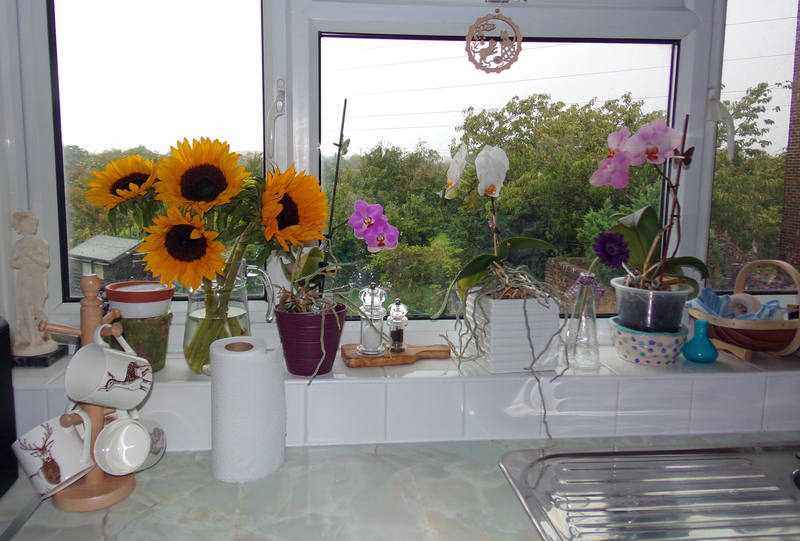 Of course, the splash of colour provided by my orchids (the only plants I’ve ever managed to keep alive and flowering) and the beautiful sunflowers my mum bought me definitely help! The flat is slowly shaping up nicely, and just in time as our little one is due on monday.